Historical Map was my first plugin (thanks to Mathieu Fauvel). 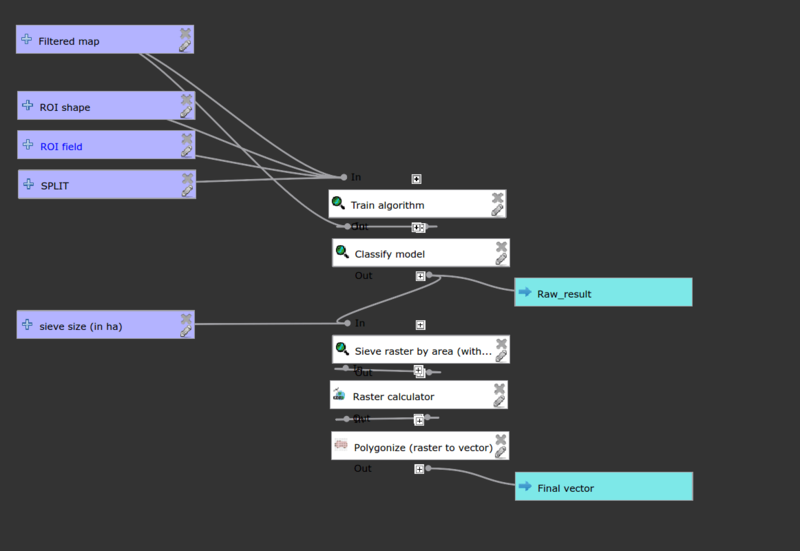 This plugin, which is almost deprecated now, allows the user to map forests from french general staff maps. But, as this plugin is very specific, I needed to develop a global tool for classification, which can handle simple classification, and post-treatment (like the Historical Map Process). Thanks for the Processing Toolbox ! Thanks to the Qgis French User Meeting in february 2016, I discovered it was possible to add algorithms from a plugin directly in the processing toolbox ! Great ! I can now finish Historical Map Plugin portability to dzetsaka. All these algorithms can be combined and used in a model. 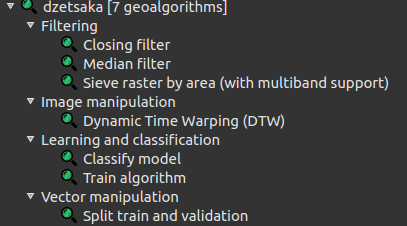 Filtering map, and classification step models can be downloaded in Historical Map branch from dzetsaka GitHub. Etienne Pfister used with success thess models for mapping old forests from the Écrins National Park.